For California Rowing Club coach Bernhard Stomporowski, things are looking up. When USRowing recently announced its new selection procedures, it was exactly the change he was looking for. And with the likes of 2012 Olympic bronze medalist Kara Kohler training at the club, there’s more than a little talent in the boat bays at the T. Gary Rogers Rowing Center these days. Also, the way the Charta is written provides the opportunity for any one of the signee clubs to potentially host camps and provide coaches, and offers some of the benefits of centralized training while respecting the athletes’ lives and living situations. Stomporowski acknowledges it’s potentially a long shot to get clubs to cooperate this way. “What can I do? If people don’t want to work together and the rowers don’t buy into that, then I can say, ‘OK, well, we will try to do this with the clubs who sign, and maybe we’ll even win—but even so, it will still not be strong if most people want to do it alone,’” he says. It might sound strange, but some level of radical thinking is necessary to fix a system that hasn’t produced strong results at the international level in the men’s quad in recent years, and given the other changes taking place, now seems like a good time to experiment. This, combined with visits to college and university programs recruiting for an under-23 men’s quad program this year, has kept Stomporowski very busy this season. Again, Stomporowski is thinking about development—not just of the athletes, but also the club system here in the U.S., which often gets overlooked when it comes to preparing athletes for the highest level. Looking at press releases and media surrounding rowing in the United States, Stomporowski’s observation rings true. While many people know that Moe Sbihi of the British men’s eight rows out of Molesey Boat Club, seemingly very few people are aware of club affiliations among U.S. national team rowers. 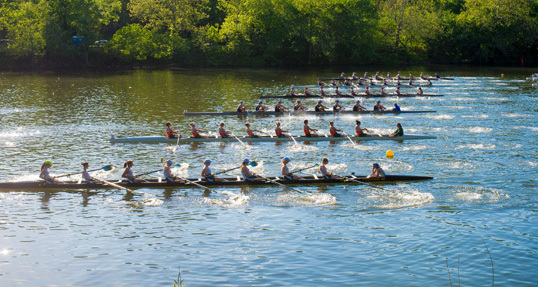 While love for our alma mater may be uniquely powerful here in the United States, for rowing clubs that devote time and resources to developing athletes for the elite level, it may be time to give further credit where credit is due. It’s on the menu for many athletes, and for good reason. Cottage cheese is packed with protein—one cup contains roughly 28 grams of it—which makes the dairy aisle staple an ideal pre- and post-recovery fuel.